ThermalSafe Laminated Glass | Thermal Windows, Inc.
For our highest level of safety and security, consider ThermalSafe laminated glass. 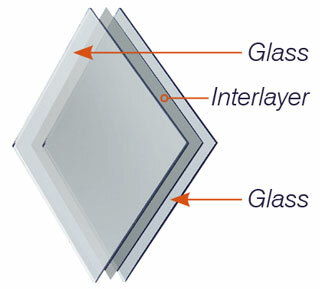 It consists of two layers of annealed glass with a layer of polyvinyl butyral (PVB) sandwiched in between. 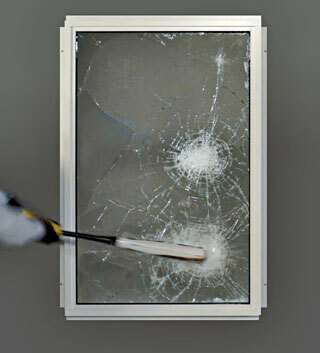 When ThermalSafe is combined with TS28 or CS36 Low-E glass, the result is energy-efficiency and protection from flying debris, accidental breakage and intrusion. 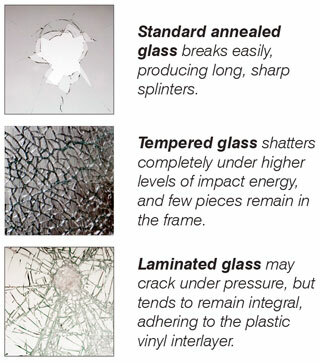 The inside lite of glass is laminated so that if broken, the glass stays in place and there are no sharp edges or glass shards on the floor to injure people. ThermalSafe significantly reduces the penetration of UV rays that fade carpets and draperies. Greater sound reduction than regular insulating glass. If a potential intruder strikes the glass, the outside pane will break into jagged pieces, leaving the laminated pane intact. The extra time and effort required to break and penetrate the laminated pane makes it likely that he will abandon his attempt to break into the home.